Charge a fee for sellers to list item(s) for sale in the marketplace where a fee has to be paid before listings go live. 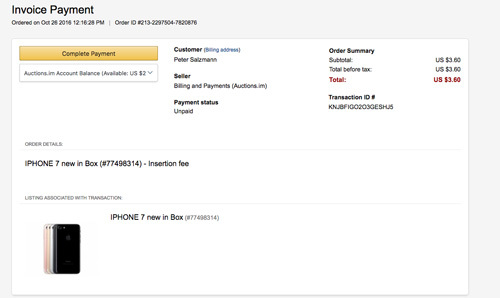 Set up insertion fees from Marketplace > Fees and Upsell section of the admin panel. Insertion groups are used to define a fee structure that works within a range of dollar amounts, so a large ticket category such as cars may charge a higher insertion fee. 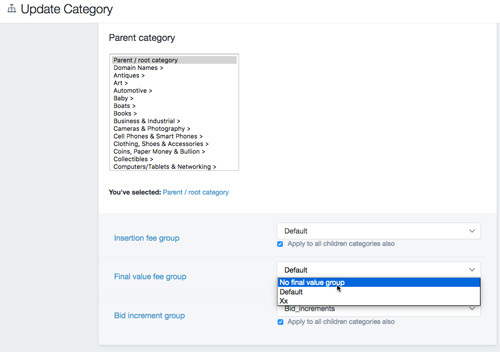 Go to category management and edit any category by using the pull down menu and within that you can assign the Insertion fee group to any category(s). When a new listing is posted in a category that is tied to an insertion fee group, the seller will be generated an invoice to pay before the listing goes live and will remain a draft until paid, unless the seller has an online account balance, the fee will be automatically deducted.